Originally called Excelsior Mill Restaurant and Bar, The Masquerade has been serving up spirits, both supernatural and boozy, since the beginning of the 1900s. With three levels called Heaven, Purgatory, and Hell, The Masq offers otherworldly creatures the perfect spot to roam. There have been reports of a ghost in the form of a tall, black man lurking around the halls. However, no one has been able to identify him. Staff members have also report strange cold spots, overturned electric equipment, and loud footsteps with no discernable source. 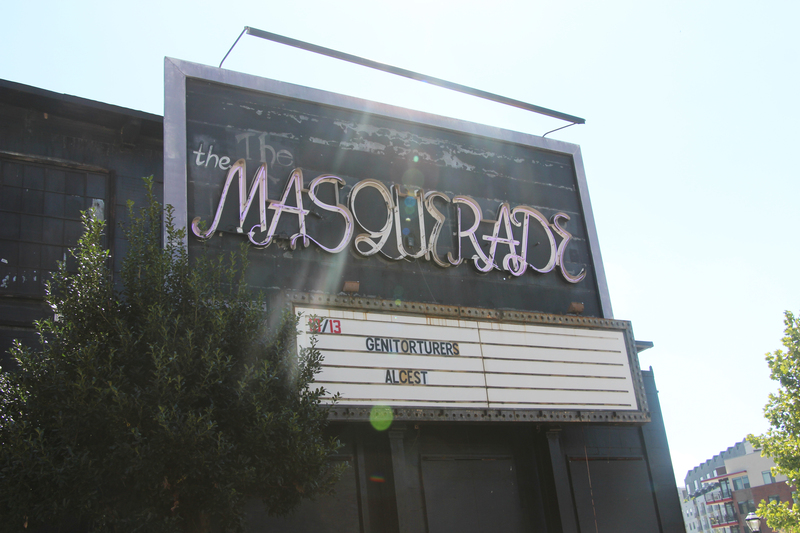 The most incredible legend, though, is The Masquerade’s live-in vampire. Unfortunately, no one can confirm any vampire sightings so far. The legend probably started from someone who met one of the members of Atlanta’s Vampire Alliance or simply as a myth started by visitors who were intrigued by the venue’s typical Goth attendees. 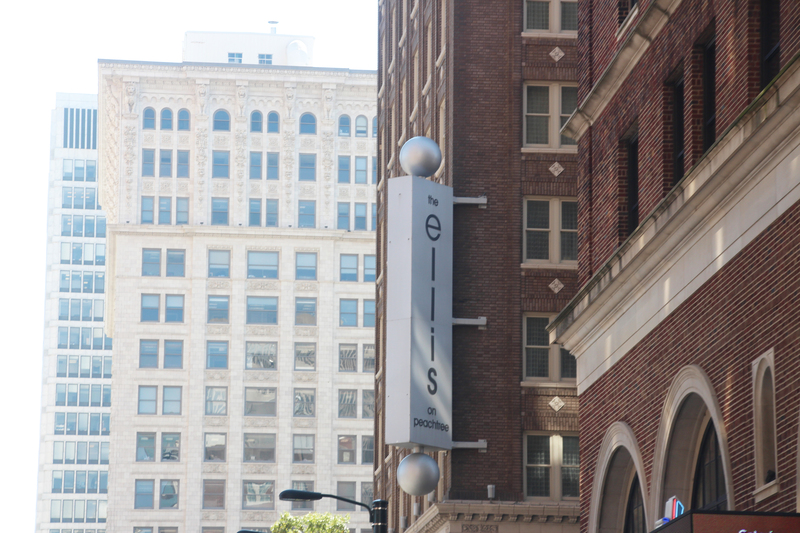 The Ellis Hotel opened in 1913 under the moniker “Winecoff Hotel.” At 15 stories, it dwarfed the surrounding hotels – and not just in height. The Winecoff, built out of brick and stone, was deemed “fireproof” by city officials, despite not having any sprinklers or fire exits. As fate would have it, fire broke out Dec. 7, 1946. The fire department was quick to the scene, but their ladders only reached the eighth floor and the safety nets could only sustain jumps from less than 70 feet. 119 of the 280 guests staying in the hotel that night died, cementing the disaster as the Titanic of hotel fires and leading some to suggest that the hotel wanted it to happen. While guests probably won’t run into Lady Gaga, there have been several guest accounts of disembodied footsteps and strange odors around the hotel. Workers have also claimed tools disappeared on the job. The real thrill, though, is the mysterious faces that can supposedly be seen in the windows of the hotel; some witnesses say the faces can be seen screaming in terror. Several teams, including the Center for Inquiry, have written about this phenomenon, suggesting it’s nothing more than pareidolia, or the human mind’s tendency to perceive a pattern where there is none. The only way to know for sure is to stay the night yourself. First constructed in 1797, Anthony’s Fine Dining, also known as The Pope-Walton House, has had its share of rough history. The house was actually looted by General Sherman during his march to the sea in the Civil War. In the end, Sherman spared decided to spare the house because of the newborn baby who was being cared for there. Sherman’s mercy later allowed Dayton Smith to move the house brick-by-brick from its original location in Wilkes County to its current location on Piedmont Road. Since the move, customers have reported the usual myriad of supernatural happenings: strange footsteps, mysterious odors, and flickering lights. However, Alan Levine, a writer for The Vinings Gazette, stayed overnight at the restaurant in 1998. Levine claims he saw “a woman [he’s] never seen before in a dress unlike anything you’d see today.” The Southeastern Institute of Paranormal Research (SIPR) has conducted investigations at the restaurant and the original land, with reports that back up Levine’s experience. The SIPR team documented electronic voice phenomenon and strange presences but were not able to conclusively prove that the site is haunted. Unfortunately, Anthony’s Fine Dining is permanently closed, so there won’t be any more ghost reports anytime soon. The St. James Episcopal Cemetery, located just outside Atlanta, has drawn attention as the final resting place of six-year old JonBenét Ramsey, a beauty pageant star who was found murdered in her parents’ home in Boulder, Colo. in 1996. However, the statue of Mary Meinert really steals the show. Legend has it that anyone who visits the cemetery at midnight might witness the statue cry tears of blood or switch the infants she holds in her arms. Ayanna Guyhto, a writer for The Examiner, investigated the myth. Although she did not see any tears of blood, Guyhto said she immediately sensed a supernatural presence upon entering the cemetery. The graveyard is also featured as a stop on the Ghosts of Marietta tour, for those who want to check out the spirits themselves. As if a cemetery isn’t tragic enough, in 2008 the land was ripped apart by a tornado that swept through downtown Atlanta. The storm toppled several statues, including one of the Archangel Gabriel with his trumpet in hand, and disrupted the slumber of the souls that rest there. 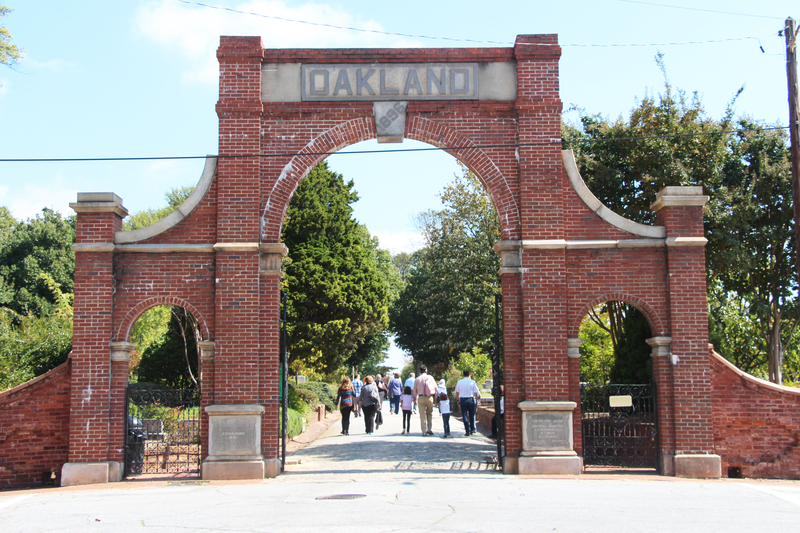 The cemetery, founded in 1850, is kept pristine by the Historic Oakland Foundation. Over the years, it has expanded from a mere 6 acres to 48 acres today and serves as the final resting place for roughly 70,000 claimed and unclaimed spirits – 6,900 of whom were Confederate soldiers. Rumor has it that visitors who walk through the Confederate side of the cemetery can still hear roll call for a portion of these soldiers being read off. According to Southern Spirit Guide, a man named William Bender even reported hearing his own name attached to the list. Other accounts recall sights of a Union soldier hanging from a tree in the cemetery. Again, there is no concrete proof of a haunting, but new sightings are reported every year. While none of these hauntings are conclusive, most do offer public tours for anyone with an interest in the paranormal. It would be the perfect opportunity to break out your iPhone and Ghost Capture app to see if you can find some spirits of your own.